Getting Familiar with your Joint Mobility, Tension and Compression. As we age, movement begins to lose its range of motion and connective tissue begins to get hardened and muscles begin to shorten. Yes, mobility is one of the first things we begin to lose as we age, but with awareness of our range of mobility and focus on practice, we can put off the inevitable for a considerable amount of time. Movement habits, old injuries, and the onset of aging can lessen mobility and fluidity in our joints. Some yoga students spend a lot of time chasing goals of flexibility, which is fine, but for the long-term, focus on working in harmony with one’s own personal body structure will help to maintain healthy mobility over the decades. 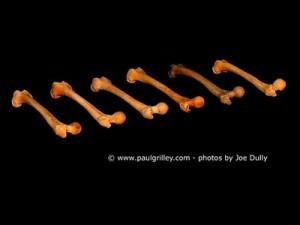 Our bones constantly reshape their structure and angles over time based on how we move, sit, stand, lie and use them. The Hip joint is one of the single most important joints in the context of mobility, so I will focus here. 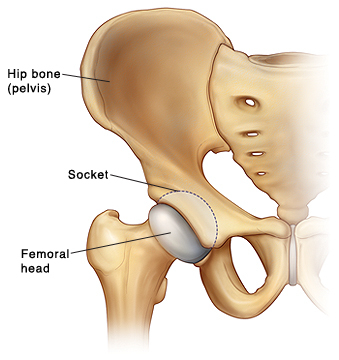 The acetabulofemoral joint (hip-joint) is important in daily life. Walking, bending, sitting, standing, running, dancing etc, are all possible because of the hip joints. To practice supporting a healthy regiment of yoga for your pelvic and hip joints, getting familiar with the proper range of motion and the balance between tension and compression in the hip is imperative. First lets define tension and compression. Muscle tension is continuous and passive partial contraction of the muscles or muscle’s resistance to passive stretch during resting state. If you’re attempting to perform a hip stretch while the muscles of the thigh and hamstring are not engaged, the resistance that is met is considered tension. As we stretch effectively, it’s the muscle tension we are working towards alleviating by lengthening the muscle fibers. Compression in the yoga sense is often referred to as bone on bone compression. Essentially it mean that once the range of the mechanical joint has been reached when there is no muscle tension to prevent further range of motion, a compression point is reached. So once again, focusing on the hips, lets consider lateral motion of the hips. The ability to externally rotate or ‘turn out’ your femur is lateral rotation. We encounter many poses in our hatha practice that require and facilitate lateral rotation. Bound Angle (baddha konasana), Hand to Big Toe Side (utthitha hasta parsva padagustasana) are two of the most common ones. Your ability to turn out, or to externally rotate the hips is dependant upon your muscle tension foremost, but if your muscle tension is supple enough to allow your lateral rotation to a point of compression, you will eventually be stopped by the head of the femur making contact with the outer area of the hip socket. There’s really no further to go from this point. Your bone and joint shapes, such as the length or shortness of femoral neck or a shallow or more anterior facing hip socket may be the culprit in your limited range of motion. If it is, then you simply have to work with this. Some postures are not achievable for everyone. No matter how much one tries, they will not achieve the postures that are limited by the shape of their joints. So how do we know what limits to subscribe to? An accurate way to determine your range of lateral motion, or turn out is to stand with your feet together. Now, leaving your heels touching, point the toes in the opposite directions (left goes left, right goes right) and make a V Shape with your feet. Do this naturally with just your legs and feet and don’t attempt to finagle yourself into a wider angle. This natural V is your natural turnout (give or take one or two degrees). Imagine a line going straight out from your feet, continuing the V shape. This will be the same range of motion should you lift your leg up in the air. If you attempt to go farther, you may run into some muscle tension before you reach your point of compression. And its pefectly fine to slowly and mindfully work against tension. But it’s also beneficial to know the feeling of tension vs. compression. When you encounter muscle tension, you will feel a bit of resistance in the muscles you are working, but as you continue to work with the stretch, your range of mobility increases and the feeling of tension working against you may lessen or stay the same. If you encounter compression, you will almost feel as if you’ve hit a wall in your movement. The range of motion simply stops, and if you force it any further you may feel no pain or tension at all or you may feel a slightly different sensation of a bone on bone situation. It’s imperative to get to know your compression points if you plan to have a successful hatha practice. Foremost, you will need to know your limits so that you don’t push yourself once you hit a compression point. This may result in injury, and to a lesser more common degree, frustration that you simply can’t nail a pose. Secondly, there are teachers out there that are new, and either mistakenly forget about compression situations or were not properly taught that people have varying degrees of joint shapes. If a teacher recommends you go ‘deeper’ into a pose, or tries to ‘correct’ you, and it pushes you to a point of compression, kindly let them know that you’re at a point of compression. The idea that some of us have less range of motion than others simply because our joints have different shapes may seem disheartening, but if you identify your points of compression and tension in joints that are crucial for mobility, you can effectively work the areas more safely and have a healthier range of motion over time. The other good news is that with enough yoga over the course of years, your bones will change in many ways and your range of motion limited by bone and joint shape may increase as well. This is why it is imperative to know what joint angles and bone shapes you have. This can be discovered by subtle awareness during your practice. This is why teachers encourage you to remain internal and not focus on other students so much. 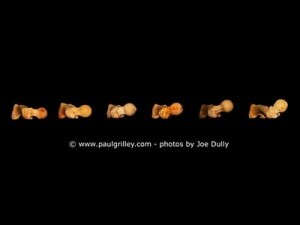 What is anatomically right for you, may be in the danger zone for someone else. Or, you could see a whole class doing the pose ‘right’ and it appears that you’re only half as ‘deep’ into the pose even though it’s on the edge of a pain threshold. Listen to your body. Feel your joints, bones and the muscles in each pose. Yoga is a very subtle system that is best accompanied by patience and time. You may have your eyes on Hanumanasana today, but if your hip joints don’t accommodate that movement, it may just not happen, and as a yogi, your goal will be to become flexible enough to accept the limitations of your body. Allow hatha yoga to lead your body mindfully through poses today and resist the desires and urges to fight your way into the fashionable postures that compromise your mobility. When you’re old enough to appreciate the ability to walk, you can look back and thank yourself for being kind to yourself and forgiving to your anatomy for the way it’s structured. Next post: Advanced Asanas: Are they Important?